This section will list all your docents. Using the DocentEDU extension on a website will make a docent. You haven't been assigned any docents. Select a docent to see some grades. Give your students the class code (found in the Classes section of the dashboard) and instruct them to sign up by going to DocentEDU and signing in with their Google ID. While signing up students will be asked to enter a class code. Once they have done this they will see a list of assigned docents. Students must install the DocentEDU extension in order to see the docent you created. There are three ways students can get to an assigned docent. See all assigned docents in the DocentEDU dashboard. Link to the page you created a docent on and add #docentedu to the end of the URL. This will automatically load the docent. Link to the page you created a docent on and instruct students to click on the DocentEDU extension button to load the docent. If you use Google Classroom, you can assign docents directly to those classes. First assign to a DocentEDU class and then click “Share to Google Classroom”. DocentEDU lets you answer questions, see teacher notes, and take your own notes on any webpage. Make sure you sign in with the correct Google ID, and have the DocentEDU extension installed. If a docent does not show up, click on the DocentEDU extension button. You can activate the DocentEDU toolbar on any webpage by clicking on the DocentEDU extension button. This button is to the right of your browser's address bar and has the DocentEDU logo. First assign the docent to your class and make sure students have enrolled themselves into that class and have the extension installed. Second, assign students the link to the website just as you would any other website in your LMS. Add “#docentedu” to the end of the URL so that the DocentEDU extension automatically loads for students. Students can also click the DocentEDU extension button to load the docent when they get to the assigned webpage. Add a sticky note and then paste the URL of the YouTube video. Choose the highlighter tool and then select the text. You can also first select the text and then click the highlighter tool. Click on the highlighted text and then click the trash icon. Click “Edit” in the upper right of the question box. Make your changes and then click “Save”. Click “Edit” on an existing question and then “Delete”. Any student responses made for that question will be lost when it is deleted. Create a new highlight or click on an existing one, and then click the plus (+). Enter the note into the box that appears. Go to the Classes section of the DocentEDU dashboard. Click on the plus (+) button next to “Classes” and enter the name. In the Classes section of the DocentEDU dashboard, click on the class name and change the name. Click anywhere else on the page to save your changes. Students can enroll themselves by entering the unique class code found in the Classes section of the dashboard. If you have a digital projector in your classroom, click the binoculars icon to make the code fullscreen. You can also import your Google Classroom roster when you create a new class. Go to the Classes section of the DocentEDU dashboard and click “View Roster”. Go to the Classes section of the DocentEDU dashboard and click the trashcan icon next to the class you would like to delete. Enter the name of the class and click okay. This last step is to prevent accidental deletion of classes. All student responses for the class will be removed. Docents assigned to the class will remain. From the docent, click on the DocentEDU icon on the toolbar and choose the class(es) you want to assign it to. If you are assigning to a Google Classroom class, first assign to the class in DocentEDU and then click “Share to Google Classroom” and follow the steps. From the dashboard, click the assign button next to the docent and choose your class(es). Google Docs must first be published before using with DocentEDU. In Google Docs, click the “File” menu and then “Publish to the web…” Click “Publish” and then copy the link and open it in a new tab. Click the DocentEDU extension button to begin docenting the published Google Doc. Make sure you give students this published Google Doc URL and not a link to the editable Google Doc. It is important to assign a docent to the class in DocentEDU before sharing to Google Classroom. Publish the Google Doc and load DocentEDU on the published link. Add a sticky note and paste the YouTube URL. Go to the Grades section of the DocentEDU dashboard, and then select the class and docent you would like to grade. You may then choose to grade by student or by question. Type in the score in the box provided. Multiple choice questions are automatically graded. Discussions are not graded. In the Grades section of the dashboard, choose the class and docent and then the question to view each student’s answer for that question. Type in the score to give it a grade. In the Grades section of the dashboard, choose the class and docent and then the student to view all of their responses in a docent. Type in the score to give it a grade. How do students see their grades? Students can see their scores by going to the DocentEDU dashboard and clicking on Grades. Go to the DocentEDU dashboard and click on the Grades section. Select a class and docent to view student answers. Go to the discussion on the docent to view responses. If you use an LMS such as Google Classroom or Schoology you can assign a docent directly from there just as you would any other website. Add “#docentedu” to the end of the URL to automatically load the docent. Students can also view all of their assigned docents by going to the DocentEDU dashboard by opening a new tab and clicking on the extension or by going to docentedu.com and clicking on "Dashboard" in the upper right corner. Students should go to docentedu.com and click on the sign up button. This will walk them through connecting their Google account, enrolling in a class, and installing the extension. Be sure to give students the class code so they can enter this while signing up. Students can view a docent by going to the assigned webpage and clicking on the DocentEDU extension button. The extension must be installed for students to view the docent layer and they must be assigned the docent for it to appear. Students can type their answers directly below the question in the space provided. Their answers are automatically saved and viewable to teachers in the dashboard. Students can go to the docent and view their answers at any time. Students can view their grades in the DocentEDU dashboard. How do I create a docent? Browser extension: Go to a website and click the DocentEDU extension button. To docent a Google Doc you must first publish it and then docent the published Google Doc link. Mobile app: Using your preferred web browser app, copy the URL of the website you would like to docent. Open up the DocentEDU app and click the + button in the Docents section of the dashboard. Paste the URL and make your docent. Where do I find text to use with DocentEDU? Almost any website works with DocentEDU. We have made a collection of quality, free online text that works great with DocentEDU. What does it look like for students? Once students load the DocentEDU extension on an assigned docent they will see all of the notes, questions, discussions, and embeds that you have added. They answer questions, participate in discussions, and take notes on the page along side what you have added. 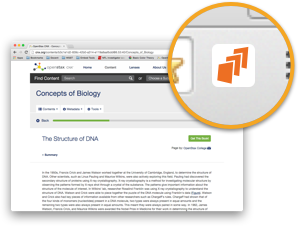 Students have their own toolbar with the highligher, hightlight note, and sticky note tools. To help differentiate notes, all teacher highlights are green, and student notes are yellow. All student notes and answers are automatically saved. The fastest way is to open a new tab and click on the DocentEDU extension button. You can also go to docentedu.com and click on “Dashboard” in the upper right corner. How do I share a docent with other teachers? Each docent you create has a share button to the right of it in the dashboard. This link allows other teachers to preview and copy the docent while keeping all student data private. Do not use this share link for students. Why isn’t DocentEDU working on a particular website? Most websites follow Internet coding standards and DocentEDU uses that to identify important information on the page. A small number of websites do not follow these standards because they are outdated or experimental. If a website is not compatible with DocentEDU, you can copy and paste the text into a Google Doc and then publish it for use with DocentEDU. Can I use PDFs with DocentEDU? PDFs must first be converted to standard webpage for use with DocentEDU. We recommend using Google Docs to convert the PDF or copying and pasting the text into a Google Doc. Publish the Google Doc and then docent the published link. Does publishing a Google Doc create a new copy of the original? No, a published Google Doc is directly connected to the original. There is a 15 minute time delay between edits to the Google Doc and the published page. DocentEDU relies on how your document is ordered so it is recommended that you do not modify a Google Doc after you have used DocentEDU on it. Does assigning a published Google Doc in Google Classroom make a copy of it? No, published Google Docs are treated like a regular webpage. This means that when you assign a docent that has been created on a published Google Doc, students will not have a copy of that Google Doc in their drive. Nothing new will be added to the Google Classroom’s folder. Students can view their docent by clicking on the assigned link in Google Classroom and answer the questions right on the page. Can students come back to a docent and finish it later? Yes, students can pick up where they left off by going back to the docent via the original assigned link or going to the page and clicking on the docentedu extension. Student answers and highlights/notes are autosaved as they type so even if they accidentally close the tab/window, their work has been saved. Send us an email at support@docentedu.com and we’ll take care of it. How do I upgrade from the free trial? Is there a volume or school discount? Yes, email the number of teachers and student to support@docentedu.com for a quote. You will receive a receipt by email after purchasing a subscription with your credit card. Email us at support@docentedu.com if you need anything else to submit to your school for reimbursement. What happens to my docents if my subscription ends? Your docents and student responses will still be accessible after your subscription has ended. You will not be able to create new docents. Click on a class to assign this docent to it. Uncheck classes to unassign. Sharing this link lets other teachers view and make a copy of your docent. No student information will be visible to people who use this link. Are you sure you want to delete this docent? On any webpage, you can create a docent by clicking on the DocentEDU Extension Button. It appears you are new to DocentEDU. DocentEDU works best with Google Chrome. If you are having trouble with Chrome, open "chrome://settings/content" in a new tab and make sure you have cookies enabled. Type in the class name to confirm.